Regina Doherty’s officials are suggesting workers pay hundreds of euro more in PRSI in order to help pay for welfare benefits. Department of Social Protection papers argue that Irish workers pay one of the lowest rates in the developed world. They are also concerned that rising numbers of pensioners are set to see the welfare budget come under further strain. 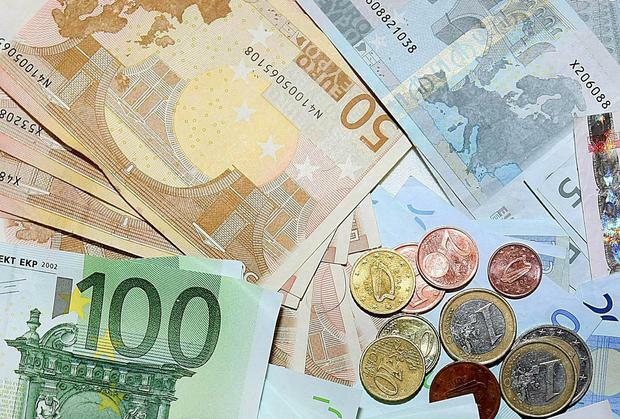 A PRSI increase of 0.5pc would cost someone on €50,000 an extra €250 a year, according to papers prepared on behalf of the Tax Strategy Group. Another option is to increase the minimum payment from the self-employed by €100. And Ms Doherty has left the door open to an increase – with a spokesperson saying that decisions on changes in PRSI rates would be a matter for the Government to consider, in the context of the Budget. The calls for higher pay-related social insurance – PRSI – payments come as the Department of Social Protection found the country is overly dependent on social welfare payments. Fianna Fáil frontbencher Willie O’Dea has already called for an extra €5 a week to be paid on the State pension. Outlining options for the Budget, the documents suggest that up to €400m could be raised by getting workers to pay more social insurance. Ireland has one of the lower rates of social insurance in the developed countries that are members of the OECD, the report states. “There is, therefore, scope to increase PRSI rates to help fund pension and other benefits,” the Department of Social Protection argues. It said the timing of any increase could coincide with proposed reductions in USC (universal social charge) rates in the Budget to help mitigate the impact on the disposable earnings and consumption generally. Some 2.5 million workers currently pay PRSI in Ireland. The department said increasing the rate from 4pc to 4.5pc would cost someone on €50,000 an extra €250 a year. The cost is calculated at an additional €500 a year for a €100,000 earner, if this option is chosen by Finance Minister Paschal Donohoe in the Budget. This would raise €400m. Other options include increasing the minimum payment from the self-employed from €500 to €600, or getting those on low income to pay a new 0.5pc rate. This would apply to those with weekly earnings of between €115 and €352. The employer PRSI contribution could be raised from 10.05pc to 10.5pc, a move that would affect two million workers and raise €356m. According to the report, almost every person in Ireland benefits, directly or indirectly, from some form of social welfare payment which amount to €20bn a year. It states we rely too much on what it calls “monetary social transfers” to address social inequalities. “Ireland may, compared to other states, be overly dependent on monetary social transfers and there may be issues to be addressed with regard to the level and distribution of market incomes and the availability of non-monetary social services,” it says. The report says the numbers indicate that payments and services operated by the Department of Social Protection impact on the lives of nearly everybody in the State. Asked why squeezed middle-income workers were being targeted to pay more, a spokesperson for Ms Doherty said that decisions on any changes in the PRSI rates would be a matter for the Government to consider, in the context of the Budget. The department added that any papers produced by the Tax Strategy Group are to provide a list of options and issues to be considered during the Budgetary process, and are not in any way indicative of changes that will be implemented.